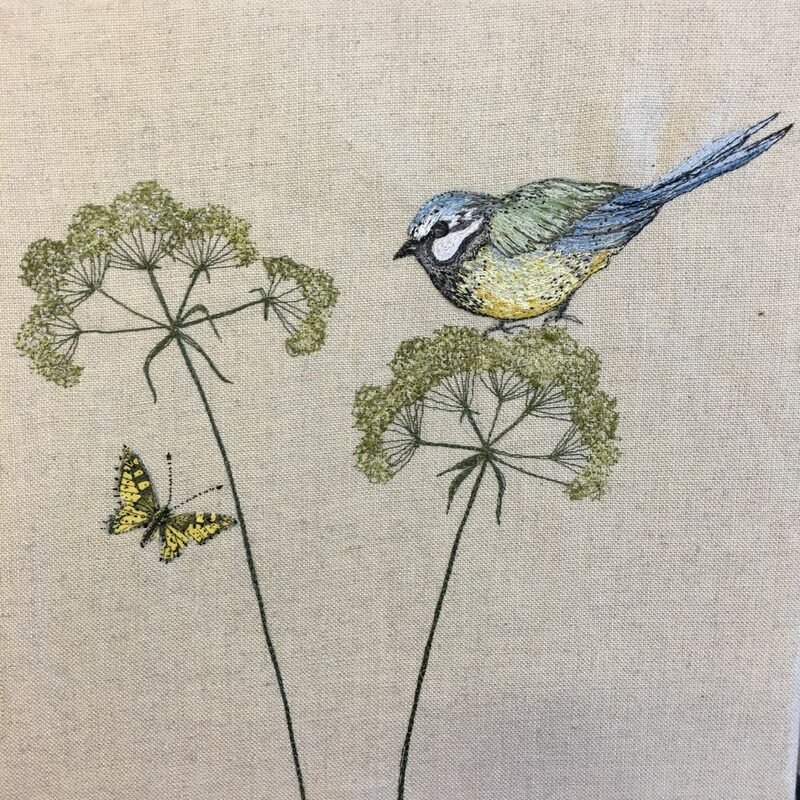 In this full-day workshop the fabulous Lara Sparks will be sharing her passion for freehand machine embroidery, helping you to use a sewing machine in your own creative way. All levels welcome! 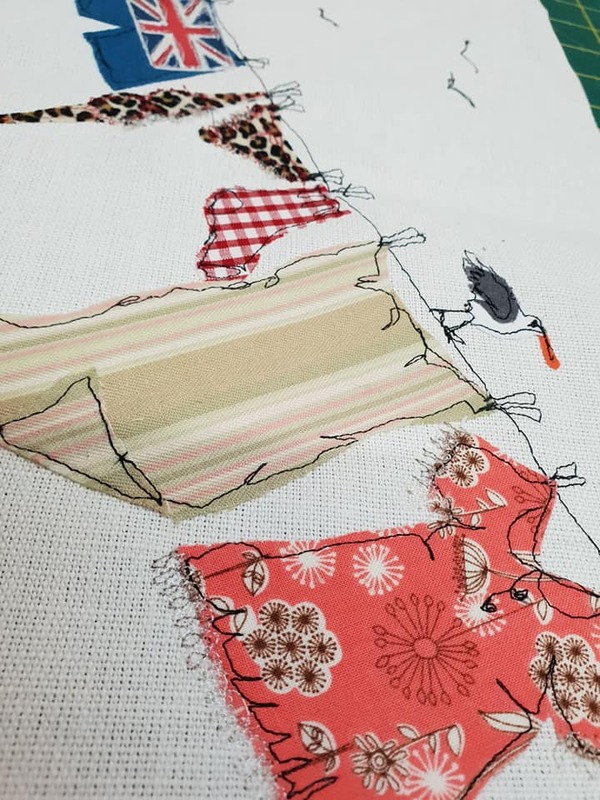 A basic level of sewing knowledge is helpful but not essential. 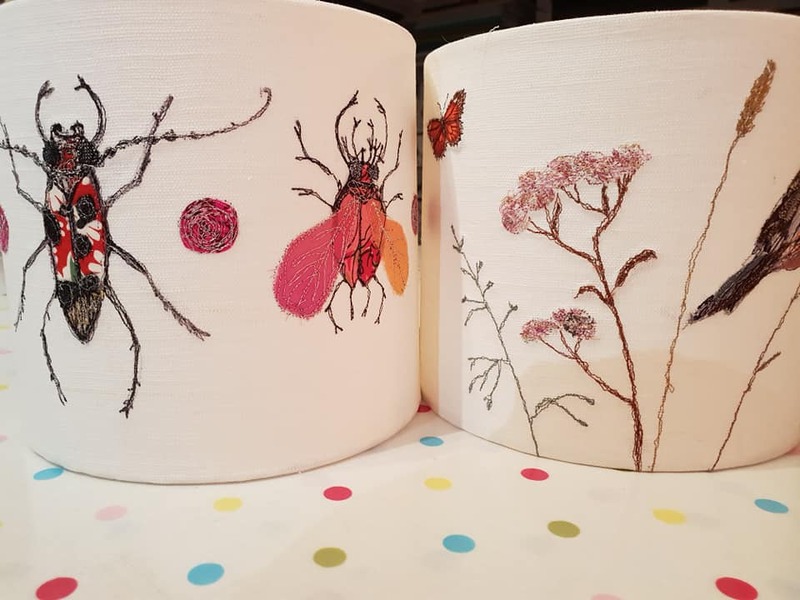 All you need to bring is an enthusiasm to learn a new skill, and we highly recommend that you bring your own machine to this class–you must have a drop-down feed dog and a machine darning or embroidery foot (please call Becky to discuss requirements if you’d like to bring your own machine, 01825 841311). 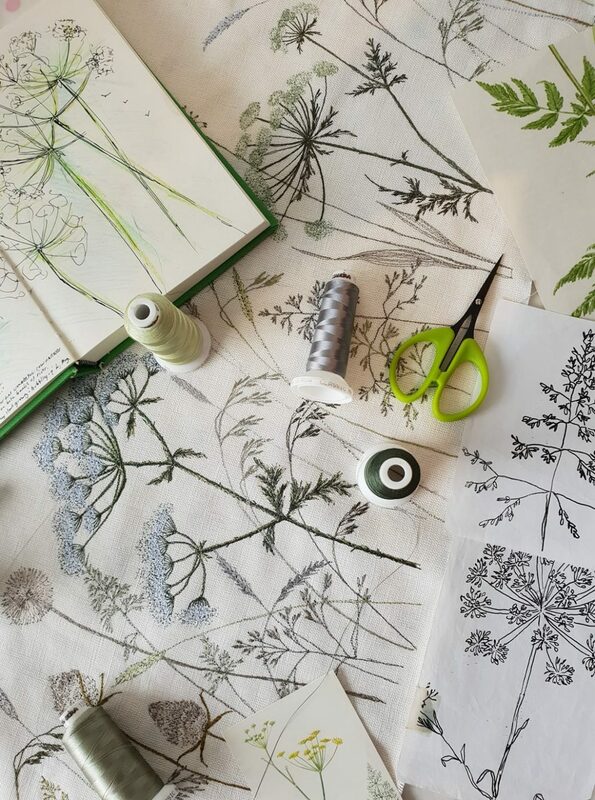 Lara Sparks graduated in 1990 from Loughborough College of Art and Design. 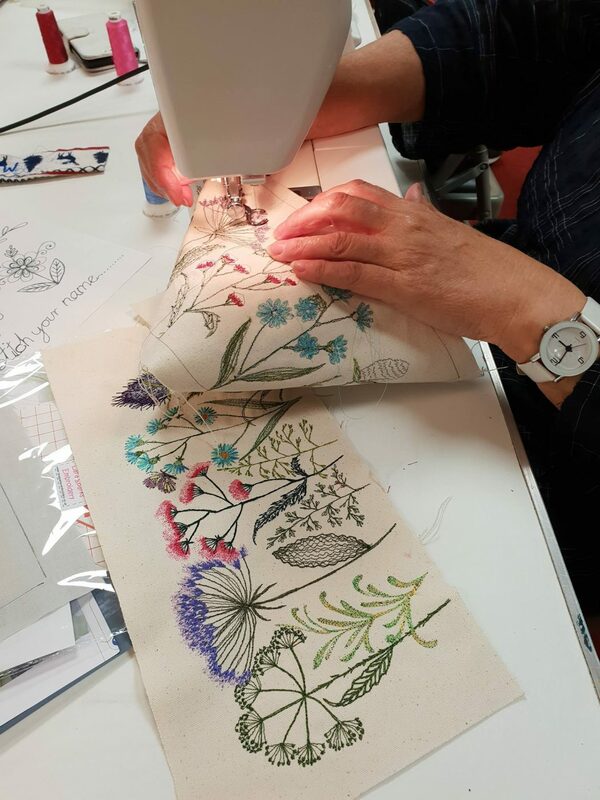 She has designed embroidery for a variety of textile industries, including fashion, bridal and childrenswear (even menswear). 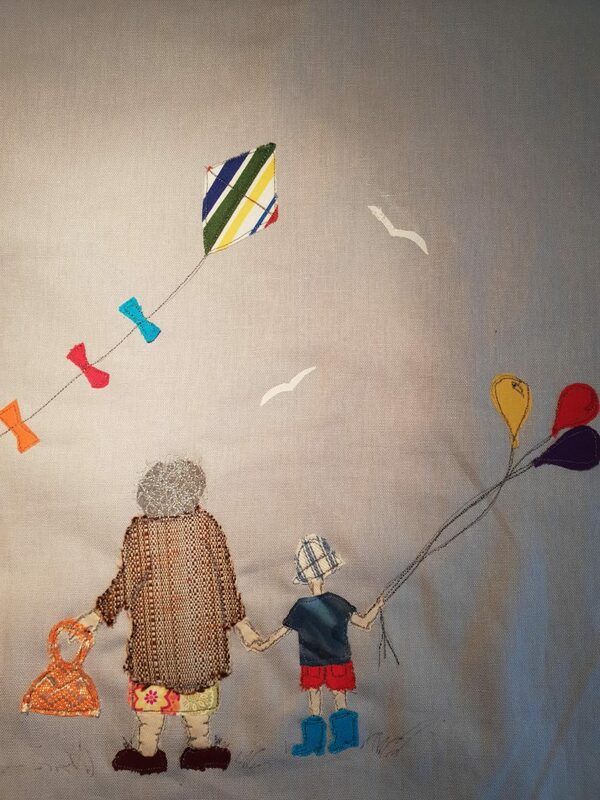 During this time, Lara work won best Bridal Embroidery award for 5 years running. Lara has also appeared on tv, showing some of her work. 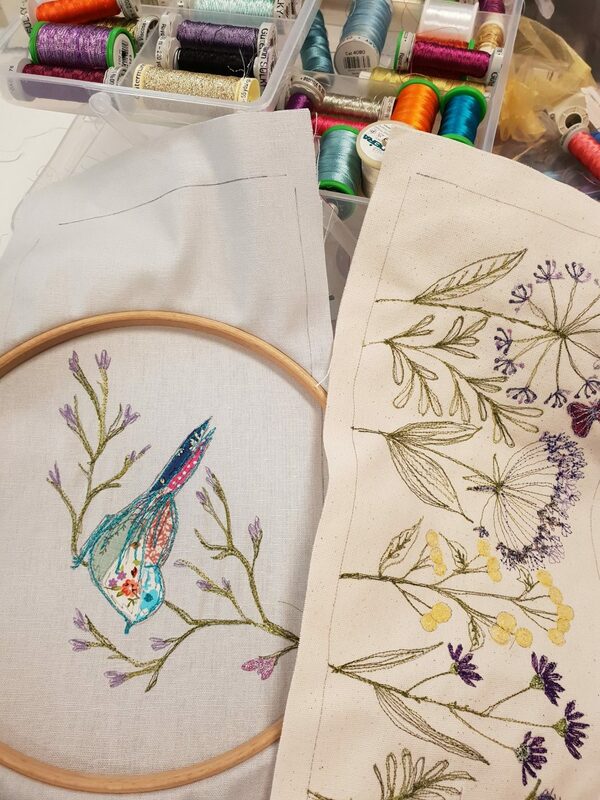 During the 2000s, as a departure from bridal, Lara changed her focus to fashion embroidery and textile design. 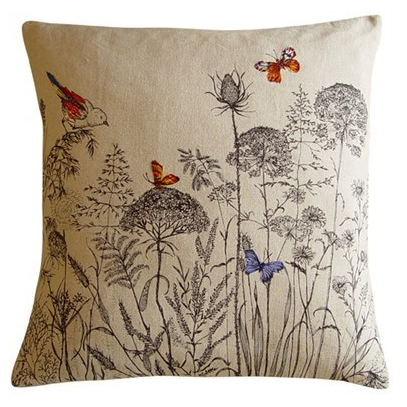 A wide range of her designs have been bought and developed by high street names, including Monsoon and Top Shop. 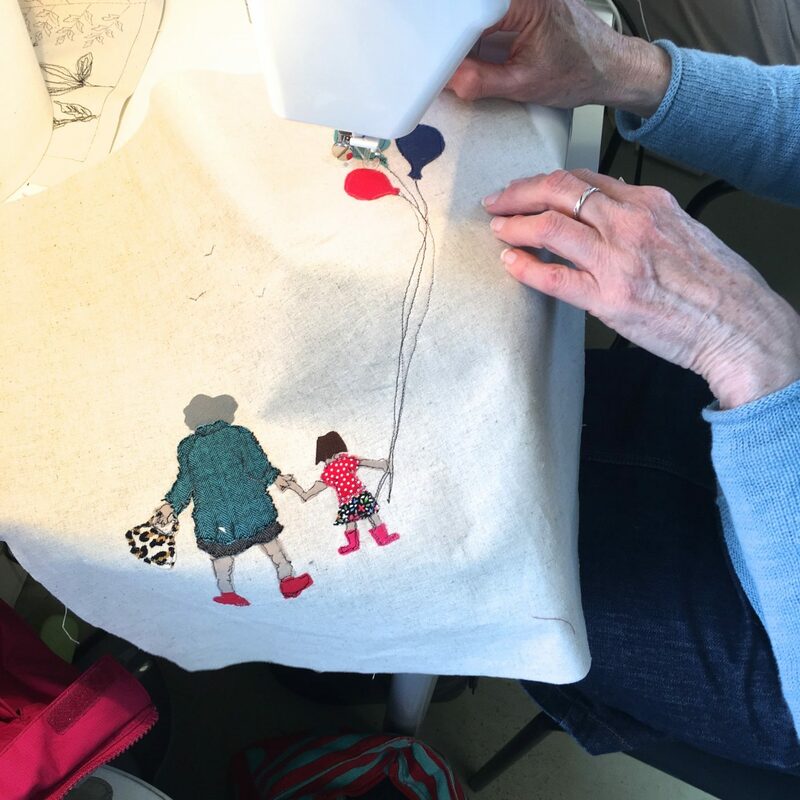 The collection of hand machine-embroidered products above, shows Lara exploring the things she loves to design and make – soft furnishings that are little works of art – quirky, beautiful and fun. 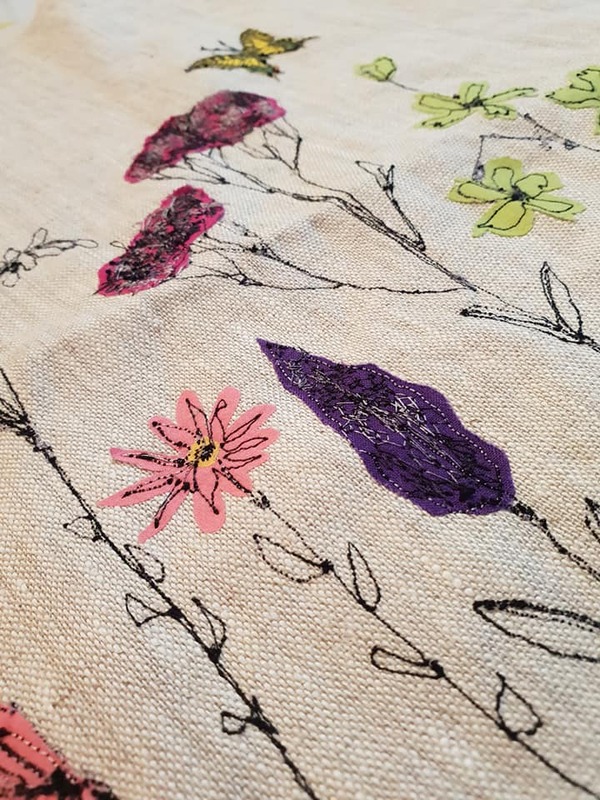 The designs are inspired by all things typically English… afternoon tea poured from patterned teapots, served with cakes on lacy tablecloths… meadow flowers and all that is beautiful in our countryside.